Once you’re introduced to and accepted by a komondor, the dog can remember you years later. Read more about this “mop dog” in our komondor breed profile. The komondor is a large, muscular dog known for its thick, corded coat resembling a mop. This dog has great speed, power and agility despite its size and heavy coat. The coat helps the dog blend in with its flock and provides protection from harsh temperatures. The average life expectancy of a komondor is 10 to 12 years but can be longer. Males are around 27 ½ inches tall, while females are slightly shorter at 25 ½ inches tall. Males can weigh 100 pounds or more, while females weigh in around 80 pounds. Komondors are not herders but guard dogs. They are cautious with strangers but affectionate and protective of their owners, family and flock. Although the ancient komondor breed is known to have Hungarian roots, it is said to be a descendent of a similar Russian dog brought into the country by an invading army. The American Kennel Club (AKC) lists the komondor as having been a working dog in Hungary for 10 centuries. Documents referencing the komondor date to the 16th century, and large sheepdogs were mentioned even earlier. The dogs were imported to the United States, and the AKC recognized the breed in 1937. Importing to the United States was stalled during World War II, and the komondor almost became extinct in Europe. The breed was restored, and exportation resumed in 1962. 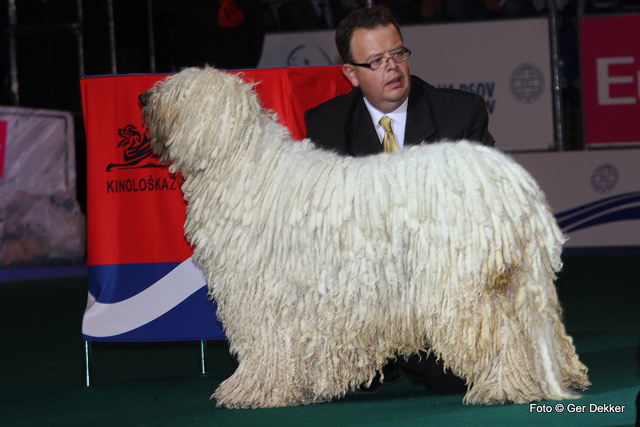 The komondor is a companion pet, guard dog, flock protector and competition show dog (conformation and obedience). Love and protection from a komondor can be like benefits to an exclusive club. Once you are introduced to and accepted by a komondor, you’re in that dog’s circle for life. Many owners report that their dogs remember someone they met only once years ago. 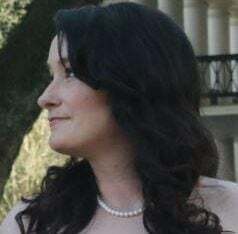 Komondors are wary of strangers, fearless, watchful and thrive on responsibility. They are happiest when protecting someone or something else. They are usually calm and quiet unless they perceive a threat. Komondors are also said to be able to sense the intentions of the people around them, according to the AKC. A bored, untrained or insufficiently exercised komondor can become stubborn and aggressive when meeting people. Komondors need daily exercise, obedience training and reinforcement. Lack of exercise can lead to excessive sleepiness. This breed does well in most climates and can live the apartment life with regular, daily exercise. 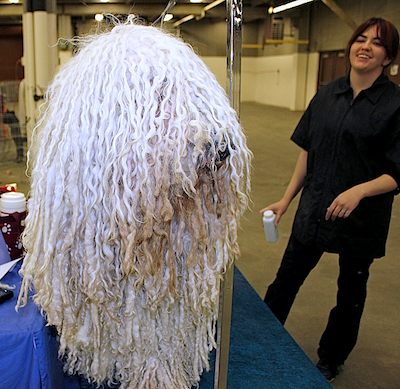 The hair of a komondor becomes corded and should not be brushed or combed. You’ll need to trim the cords regularly. This breed also requires regular bathing, which comes with a long drying time. The dogs shed little and are said to be good with people who have allergies. Trim and clean the ears now and then to prevent infections. The ears hang down and prevent air circulation. The fur that grows between the paw pads must be trimmed regularly as well. As always, you should be clipping the nails and doing regular toothbrushing. Is the Komondor the Right Dog for You? This breed will require a little more work than others. Regular bathing, grooming and trimming are required to keep the komondor healthy, with special attention given to the ears. We recommend exercise, training and ongoing reinforcement to avoid stubbornness or aggression. Komondors can endure harsher temperatures and do well in apartments with regular exercise. They are good with children and naturally protective of their family and flock. If you can commit to the grooming, training and exercise requirements of this breed, a komondor will reward you by being a protective and affectionate companion for your family. Don’t Miss: 20 Albums With Dogs on the Cover (A komondor is featured on the cover of Beck’s Odelay, #9 on our list). If you are interested in acquiring a komondor, please check rescues and adoption resources first. Did you know that even purebred animals can end up in shelters? Try Pets Adviser’s adopt search. You can also check with rescue groups and breeders — and ensure that the breeder is reputable.